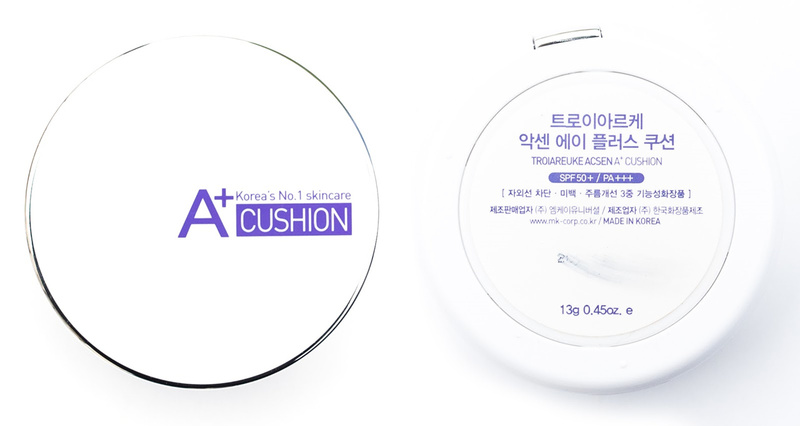 Troiareuke ACSEN A+ Cushion is 2nd addition to the 99% Skin Care and 1% Make Up cushion series after TROIPEEL H+ Cushion. ACSEN A+ Cushion is suitable for those who have acne and sensitive combination skin. A special formulation for combination and oily skin provides perfect coverage, light texture and perfect sebum control. U.V protection (SPF 50+/PA+++) and brightening effects can be expected as in H+ Cushion. In addition,SMC (Smart Moisture Capture) applied in A+ Cushion keeps the skin moisturizing from the dehydration due to excessive sebum production.